Previously, it could take up to a fortnight for results of traditional blood tests to be returned, leading in some cases to problems locating patients who had moved on after giving blood samples. 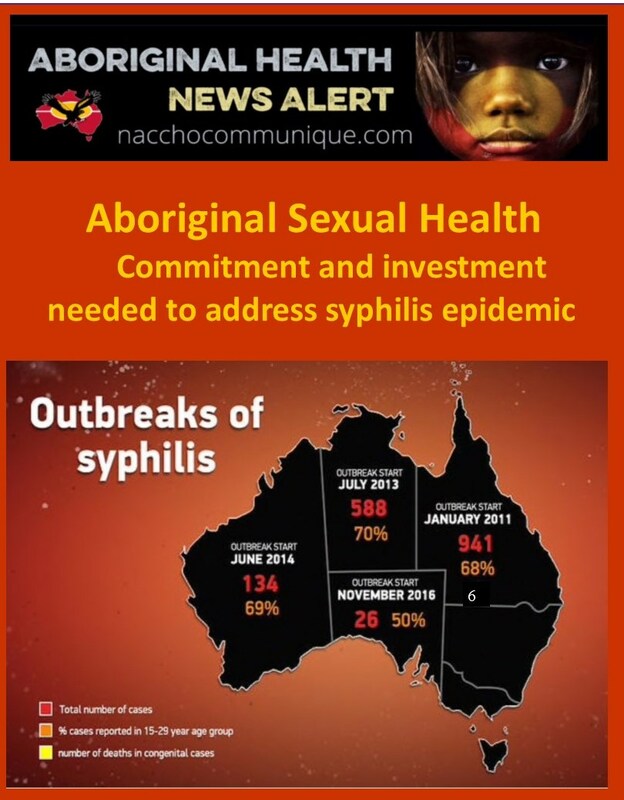 Indigenous Health Minister Ken Wyatt AM : The Turnbull Government has committed $8.8 million over three years to support the work of Aboriginal Community Controlled Health Services to combat the syphilis outbreak. 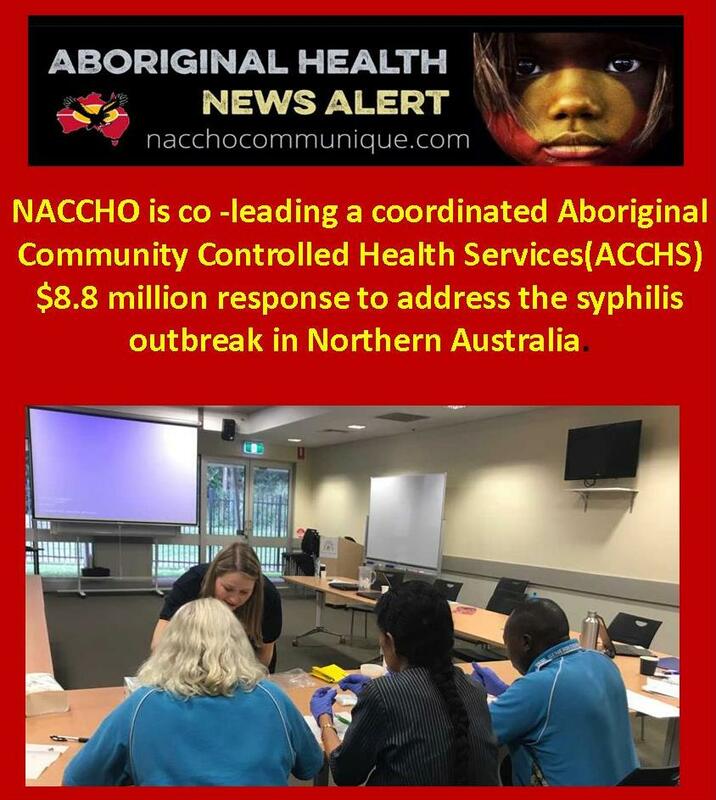 NACCHO is co-leading a coordinated Aboriginal Community Controlled Health Services(ACCHS) $8.8 million response to address the syphilis outbreak in Northern Australia. Current outbreak data to 31 May 2018 are attached in the surveillance report below. For historical data, please refer to the Reports section below. NACCHO has appointed an Enhanced Response Coordinator to build community awareness and work with Wuchopperen Health Service, Danila Dilba Health Service and Townsville Aboriginal and Islanders Health Services (TAIHS). The Training Coordinator Flinders Univesity is already at work rolling out a series of workshops and training of Point of Care (PoC) testing for a 12-month period that has been supported by a grant of $8.8 million from the Federal Department of Health. NACCHO is also delivering education, testing kits and organising pharmaceutical supplies across Northern Australia.